Medical marijuana caregivers also could join the for-profit adult-use market under the plan, but both are subject to change. Medical marijuana dispensaries and caregivers could join Maine’s new adult-use market under a proposed rewrite of the state legalization act. A draft bill released Monday would let Maine’s eight licensed medical marijuana dispensaries apply for a license to sell recreational cannabis, but they could not sell medical and recreational products at the same counter, said Sen. Roger Katz, R-Augusta, co-chair of the state marijuana committee tasked with crafting new adult-use regulations. Like Colorado, Maine would require separate medical and adult-use entrances to a dual-licensed dispensary. State-certified caregivers also could apply for a recreational retail-sales license, as long as they don’t sell their adult-use products at the same counter or point of sale as their medicine, Katz said. Medical marijuana would be taxed at a lower rate than recreational marijuana – 5.5 percent compared with 20 percent – and generally has lower levels of THC, the psychoactive agent in cannabis. The Legislature’s Joint Committee on Marijuana Legalization Implementation will hold a public hearing on the proposed bill Sept. 26. The committee plans to meet at least twice more to incorporate public comment into the bill before it submits a final draft to the full Legislature, which will reconvene next month for a one-day special session to consider the marijuana bill and the ranked-choice voting law. The “separate entrances” approach to retail sales is about as close as the legislative committee wants these two sides of the legal marijuana market to get, Katz said. The state’s medical and recreational adult-use programs must be run separately, with each program answering to different regulatory agencies, he said. Interaction is likely, but to be discouraged, he said. Some caregivers have concerns about how the proposed bill would affect them, and fear the bill gives dispensaries an advantage in a fledgling market, said Paul McCarrier, president of Legalize Maine, a nonprofit advocacy group that helped pass the statewide ballot initiative in the fall of 2017. McCarrier is one of more than a dozen lobbyists who have attended several months of drafting work. Some areas of concern may simply be oversights, such as licensing language that doesn’t include caregivers, he said. Others appear intentional. But it could have been worse, McCarrier acknowledged. “It’s not very awful, but it’s not what voters wanted,” he said. But dispensaries didn’t get everything they wanted from the committee either. Dispensaries had sought legislative approval to be the first ones to sell recreational cannabis, arguing they were already state-licensed and had proven they could successfully operate marijuana businesses, but the draft bill doesn’t allow for early sales by dispensaries. The dispensaries succeeded in getting a provision in the draft bill that would allow them to convert from nonprofit organizations, which is mandated by the state’s medical cannabis law, to for-profit businesses, which would make it easier for them to get financing. Katz doesn’t think the provision requested by the dispensaries at the last minute will stay in the bill. Committee leaders didn’t want to kill it without discussion. 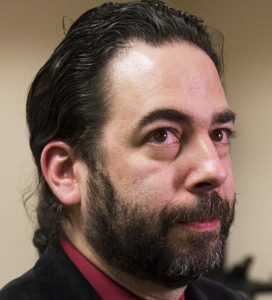 A spokesman for Wellness Connection, the owner of four of the eight state-licensed dispensaries, didn’t respond to a request for comment Tuesday. The intersection of these two programs becomes even murkier when it comes to cultivation and manufacturing. There is nothing specific in the draft bill that bans a medical provider from seeking a license to grow recreational marijuana or manufacture an adult-use marijuana product, such as an edible or tincture. But Katz said it is unlikely if a single grow or manufacturing facility could satisfy rules of both programs, and also submit to the will of inspectors from both the state’s agriculture and health departments. There is a ban, however, on anyone involved in either side of the medical or adult-use marijuana market from seeking a state testing license. That prohibition is intended to protect the neutrality of the pesticide, potency and contamination reviews conducted by a state-licensed testing facility. Other states have struggled to prevent marijuana operators from using friendly labs to get good test results. While caregivers and dispensaries scrambled to figure out how the bill would affect them, and whether one side had come out better than the other, legalization opponents condemned the bill altogether. Smart Approaches to Marijuana Maine, which fought against the referendum last fall, said the draft bill puts the interest of “big marijuana” over public health and urged the Legislature to reject the plan. 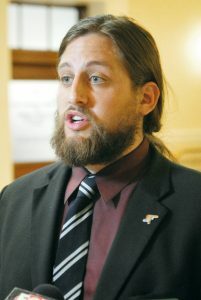 In addition to opposition to other components of the bill, such as allowances for drive-through and internet sales, Smart Approaches leader Scott Gagnon said the bill should not allow any comingling of adult-use and medical cannabis. It could open a loophole that would allow a medical store to avoid a local marijuana store ban, he warned, and add a dangerous profit motive to a still-untested field of medicine. “The committee needs to take a step back, listen to public health, medical and addiction experts, and not allow the interests of the marijuana industry to drive Maine drug policy,” Gagnon said.